Tennant, Teresa Jungman, and Zita Jungman. Photographed by Cecil Beaton. Andrew Graham-Dixon set the stage in his Sunday Telegraph review of the 2006 Rex Whistler exhibition at the Brighton Museum. Sitwell, Teresa Jungman, and Rex Whistler. 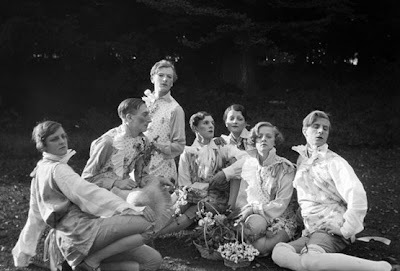 Photographed by Cecil Beaton. Rex Whistler showed a knack for art as a child. 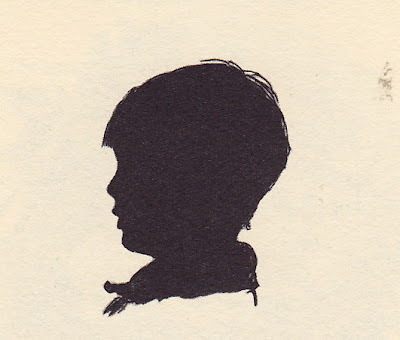 At age 8, he produced this silhouette of his brother, Laurence, aged 2. 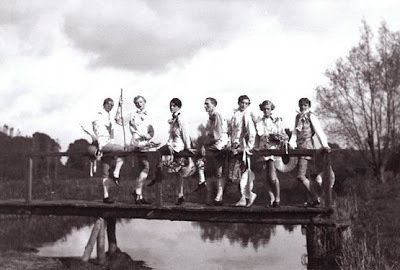 Finding the Royal Academy too stifling, he moved to the Slade School and came into his own. Unlike many of his generation, Whistler was never taken by the burgeoning avant-garde. He preferred the Arcadian landscapes of England. He took great pride in providing the art that adorned the jackets of many of his friends works including Cecil Beaton, Edith Olivier, Beverley Nichols and Laurence Whistler. 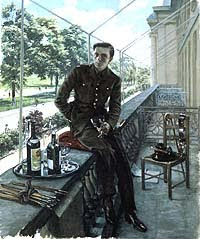 Rex Whistler is believed to be the model for Charles Ryder in Evelyn Waugh's Brideshead Revisited. He made many attempts at purging his underlying homosexual tendencies including losing his virginity to none other than Tallulah Bankhead. Rex Whistler's masterpiece is considered to be the 60 foot mural at Plas Newydd, the house of Lady Caroline's father, the Marquess of Anglesey. Plas Newydd is the largest repository of Whistler's paintings and drawings. It also houses the proof editions of his famous illustrations for Gulliver's Travels. Unlucky in love, Whistler joined the war effort. He was commissioned into the Welsh Guards as a Lieutenant. During his stay in Brighton, before his embarkation to France for the invasion of Normandy, he painted a cartoon now known as Allegory: HRH The Prince Regent Awakening the Spirit of Brighton. The painting depicts the Prince Regent, naked except for a blue ribbon of the Garter and the badge of the Order resting on his backside. He is kneeling before a sleeping figure with a pink sash emblazoned Brighthelmstone. 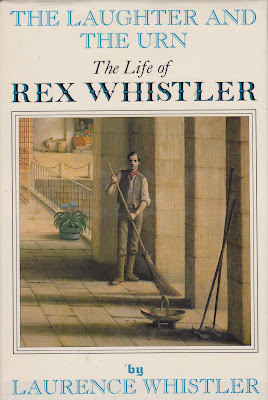 Forty-three days later, Rex Whistler died. It was his first day in action. He was 39. Many years later his brother wrote a biography of Rex Whistler, The Laughter and the Urn. Now I will be questing after this book. What news here Lulu(ok so I have been reading again- the Mapp and Lucia books-How she hated that from Map) Now Lucinda- I did not know about the Bankhead maidenhead. No wonder the worm turned. I am excited about finding the book. What a too short bittersweet life for this talent. I remember going to see Rex Whistler exhibition in Brighton. What a brilliant artist he was! His theatrical designs are incredibly beautiful. He was also an aesthete. 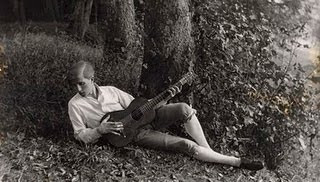 There was one black and white picture of him in the exhibition standing next to the mantle shelf and looking just like a young man from the aesthetic movement in the 19th century. Thank you so much for sharing this fascinating blog. Honestly i prefer other painters rather than this guy. anyway great article!